Some of the figure drawing and capturing the "essence" of an active subject–I am most inspired by the top right sketches by Juan M. Josa. I want to try the three-point curved perspective as soon as possible! My favorite pages involve animal sketches, obviously! 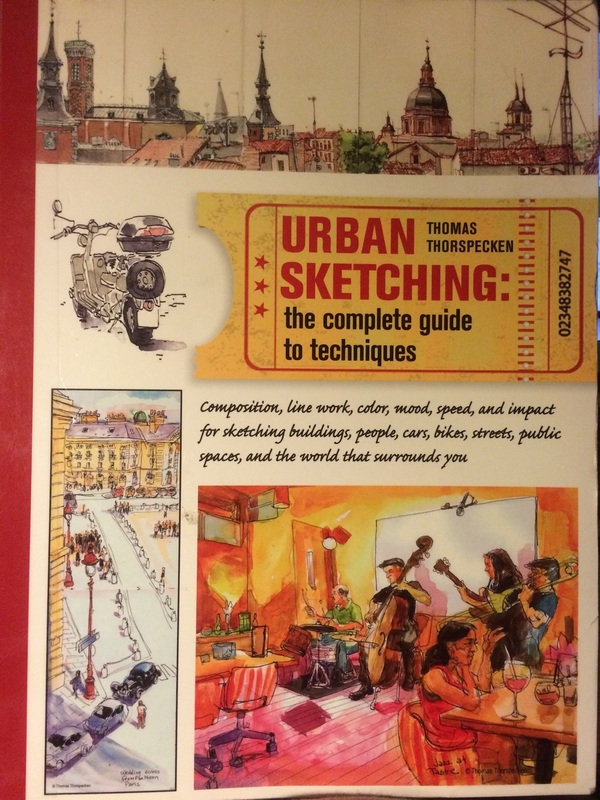 When I was at the library last I picked up a few books that I was interested in, one of which was Urban Sketching: the complete guide to techniques by Thomas Thorspecken. As I've been trying to sketch more regularly, I was interested in the subject and what Thorspecken would present in this "complete guide". Overall, I found the book to be an inspiring collection of sketchbook art and it made me want to go out and start drawing! That is high praise for a book that sets out to do just this. This is very heavy on watercolor and ink. It appeals to me because these are two media I love using, but if you're not a fan you may not find it very inspiring reading. The author has some very good suggestions on where to sketch and how to find sketchable events–which lead me to search for an urban sketching group here in Chicago! The perspective pages stood out most to me in all the art techniques–especially the three point curves perspective. I'm hoping to do a sketched scene using this soon! The section on scanning and sharing sketches I mostly breezed over because I work with this kind of software daily and don't need much help, but you may find this section a bit dated as it looks like a much older version of Photoshop. On the section about composition of your sketches–maybe I'm weird but I don't compose my sketches this much? Then again, thinking on it now, I also don't sketch scenes nearly as much as a sketch objects/animals. I'm always encouraging my art student to think about how she will put her subject on the page, so this is probably a good reminder for me as well. Overall, I think I'm not the target audience because I have formal art training and I do already sketch, but a true beginner may find this book a bit intimidating. By comparison I'm reading Drawing on the Right Side of the Brain by Betty Edwards right now and Edwards includes lots of true "beginner" or "novice" art as well as more trained artists' work. Though beautiful, the sketch examples in Urban Sketching may cause a novice to decide they aren't capable of this and turn away without giving themselves a chance. As for those three points it says readers will discover? Perspective: yes! Even as a trained artist who has studied perspective I really enjoyed this section and learned new things. Capturing the essence of your subjects: Maybe? I don't often sketch humans, but there are some good suggestions about quickly sketching and doing more detailed studies of humans. Adding notes and commentary: Sorta. This felt more like an after-thought. 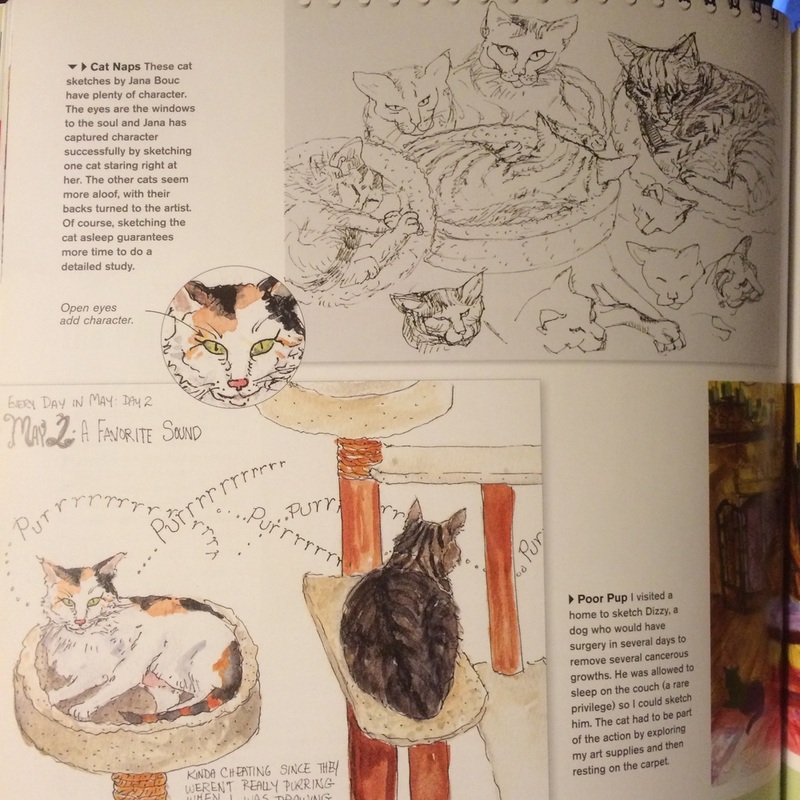 One notable artist detailed in the book is Liz Steel, and she does add quite a bit of beautifully arranged text to her sketches. If you're interested in sketching in an urban environment and sketching full scenes detailing your experiences, this would be a good book to peruse! What are your favorite books about sketching in situ? Here on the blog you can find works in progress, excerpts from my sketchbook, and lesson ideas for teaching art.